Cleans without scratching! Cleans Baked-on foods and other messes without harming non-stick surfaces! Safe for use on all non-stick cookware including: Teflon, Silverstone and Calphalon Hard Anodized cookware. Baked-on foods and other messes are no match for EZ Brite Scrubs! Nor will the mess stick to the surface of this easy to clean scrub. These hard-working scrubs challenge any cooking mess. 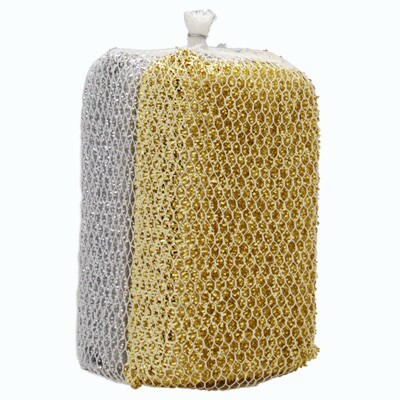 These multi-Surface and multi-purpose scrub pads are easy to clean, clean rinsing and long lasting. Just toss them in the dishwasher when they need to be cleaned and use them over and over again. Most importantly they are safe to use on all surfaces. They will clean the most stubborn baked on messes without scratching. Safe for use on all non-stick cookware including: Teflon, Silverstone and Calphalon Hard Anodized cookware. Safe for use on all non-stick surfaces.